The CES show floor is littered with TVs, be it larger, brighter or smarter, every year in Las Vegas. Still one of the most common pieces of electronics attracts quite a lot of attention. Samsung is one of the most renowned names among this brigade, and has already debuted a massive 146-inch aptly-named “Wall” TV. 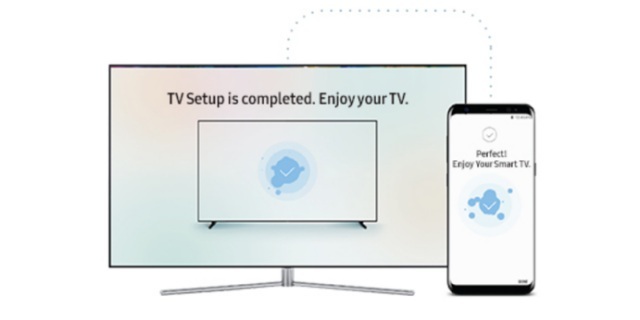 Samsung has introduced a new feature that makes it much simpler for you to set up your smart TV using only an Android or iOS device. 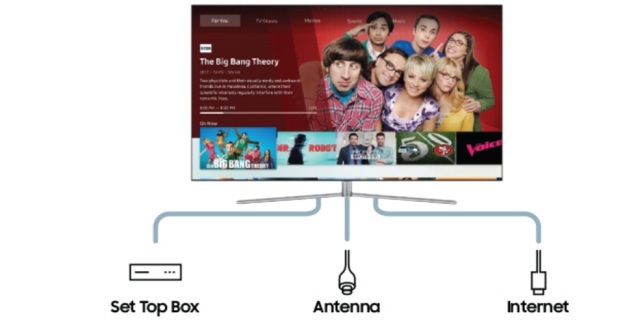 Using “effortless login”, you can now use the SmartThings app to instantly set up your Samsung smart TV and jump straight into watching your favorite movies or TV shows. With this feature, the Korean giant is trying to build a connected fabric of devices that will provide you with necessary info at your fingertips. All of its 2018 smart TVs will feature the SmartThings dashboard, which will allow you to convert the TV into a central hub to control your smart home. Currently, the Korean giant has baked its AI assistant into their premium smart TV lineup. 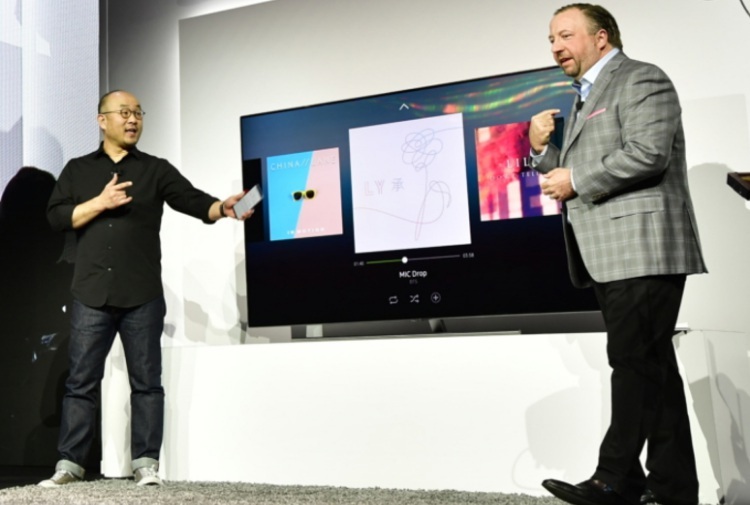 These devices will first land in its home country followed by the U.S.
Samsung is well aware of the fact that you’re essentially turning on the TV to consume content, so it has made improvements in this domain as well. The company is updating the Universal Guide, which will now integrate content from your cable provider, streaming, as well as video-on-demand services. All 2018 smart TVs from Samsung will also feature an enhanced TV PLUS, making a huge selection of 8,900 UHD (4K) and HDR movies available to the users. This means you’ll be able to use the ‘Samsung One Remote’ to browse through the plethora of content in an intuitive manner. The shift in Samsung’s strategy shows that it is growing aware of the community’s needs, who do not want brand new smart TVs each year. Instead, they want enriching AI features and intelligent apps to enhance the overall content discovery and viewing experience.